It feels great when you take a nap after a long busy day, doesn’t it? Nevertheless, sometimes we might be wondering why we still feel tired, or even more tired than before the nap. The simple rule is this: A nap longer than half an hour is not a nap, but it is considered a deep sleep. That is the main reason why we feel exhausted after taking a nap which is longer than it should be, and still not enough to be a real sleep. After that 30 minutes it is very difficult for the body to recover from that sleep. ing around 10-minute to 20-minute nap will work in a way that your brain’s mental capacity will increaseand you will be more alert. Just take a brief nap and enjoy its advantages. You will be quicker and more efficient after it. Every time you go to the grocery store, blueberries should be at the top of your list. There is a lot of nutrition packed into each one of those small berries and you don’t want to miss out on everything they have to offer. Blueberries are one of the few fruits native to North America with the U. S. and Canada being by far the world’s largest growers of this berry. During the months of June and July is when blueberries reach their peak but thanks to imports from South America, blueberries are now available year-round. Whether fresh, frozen, dried, or canned, blueberries can be a part of your diet in various ways. 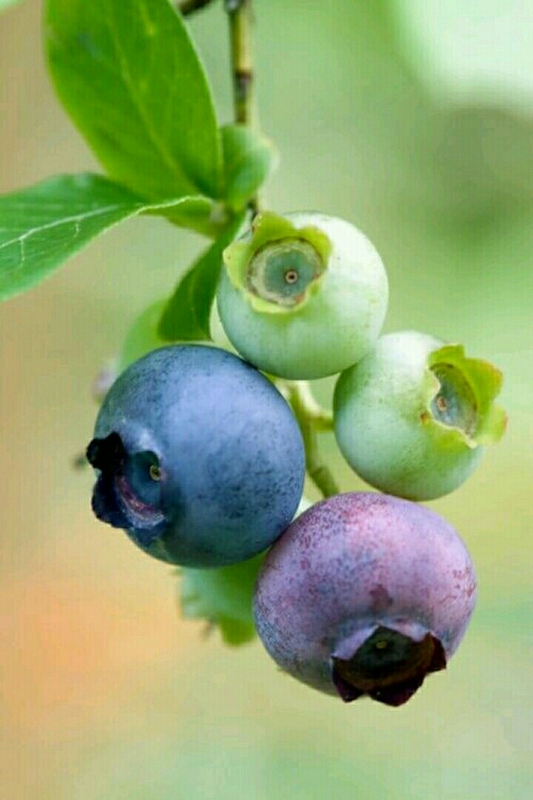 When choosing blueberries, look for firm, uniformly colored berries. Keep in the refrigerator or you can freeze them or buy blueberries already frozen. In fact, research has shown that frozen blueberries retain most of their anthocyanin content whereas cooking at temperatures above 350 degrees damages these polyphenols, so go easy on the blueberry muffins. Blueberries have numerous health benefits primarily because of a compound they contain called phytochemicals. Phytochemicals are found in many types of fruits and vegetables, including blueberries, and are responsible for giving them their richly colored blue hue. They are also said to be bioactive and very important for our health. Phytochemicals have healthful properties acting as an antioxidant, anticancer, anti-neurodegenerative, and anti-inflammatory agent. They basically help in the prevention and treatment of health conditions ranging from heart disease, diabetes, high blood pressure, and cancer. Blueberries love your heart and want to protect it so why not let it? Research has shown people who consume these delicious berries on a regular basis have the greatest benefit and lowest risk factors for heart disease. A chemical found in blueberries called kaempferol, prevents oxidative damage of our cells, lipids, and DNA. Another compound found in blueberries called chlorogenic acid limits low density lipoproteins (LDL) oxidation, the major determinant of atherosclerosis. Other studies have shown blueberries to improve blood pressure and reduce arterial stiffness with the average systolic blood pressure (the top number) declining by 5.1%, while the diastolic pressure dropping by 6.3%. The antioxidant chlorogenic acid found in blueberries may slow the release of glucose into the bloodstream, helping the body better handle this sugar. The anthocyanins in blueberries appear to improve pancreatic beta cell functioning. You don’t often hear of blueberries healthy effect on our vision but research shows that blueberries antioxidants help reduce eye strain, photo damage to the retina, and protect retinal cells from chemical toxins. The consumption of blueberries is believed to play a role in delaying the development of neurodegenerative disease such as Alzheimer’s disease. Blueberry extract has been shown to reverse some age-related neuronal degeneration resulting in better spatial recall. Anthocyanins richly found in blueberries, maybe the real star in boosting brain health. This important phytochemical is able to cross the blood-brain barrier possibly helping decrease vulnerability to the oxidative stress that occurs with aging by reducing inflammation and increasing signaling between neurons. The Nurses’ Health Study looked at 16,000 women over the age of 70 and found that women who consumer two or more half-cup servings of blueberries or strawberries per week experienced slower mental decline which was the equivalent of up to two and a half years of delayed aging. Animal studies have found that the addition of blueberries to their diet improved short-term memory, navigational skills, balance and coordination. All berries, including blueberries have a special health effect on the digestive tract. They help inhibit the growth of Heliobacter pylori. H pylori, a bacterial infection leading to peptic ulcer disease. Berries can also inhibit the growth of several intestinal pathogens such as Salmonella and Staphylococcus. In the urinary tract, blueberry antioxidants fight infection, preventing the adhesion of harmful bacteria and act as an antimicrobial agent. Anthocyanin is responsible for preventing adhesion and proliferation activity of E. Coli bacteria in a urinary tract infection. The anticancer benefits of blueberries remains limited at this time even though the American Institute for Cancer Research does include them on its list of cancer-fighting foods. In cell studies, blueberry phytochemicals have been shown to decrease free radical damage to DNA that can lead to cancer and to inhibit the growth of cancer cells.